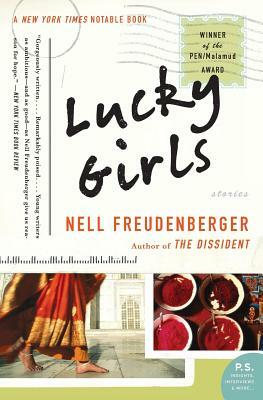 Nell Freudenberger is the author of the novels Lost and Wanted, The Newlyweds and The Dissident, and of the story collection Lucky Girls, which won the PEN/Malamud Award and the Sue Kaufman Prize for First Fiction from the American Academy of Arts and Letters. Named one of The New Yorker’s “20 under 40” in 2010, she is a recipient of a Guggenheim Fellowship, a Whiting Award, and a Cullman Fellowship from the New York Public Library. She lives in Brooklyn with her family. “Skillful and assured...Freudenberger’s prose is smooth.